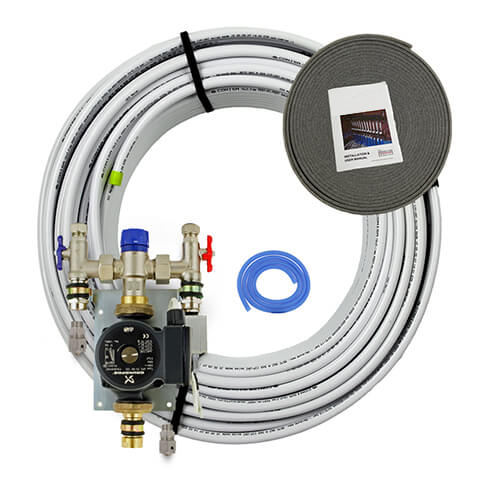 Our underfloor heating kits are extremely energy efficient and are a great addition to any room; we have a range of underfloor heating kits available from standard kits to high quality premium kits. Underfloor heating is the method of heating a room by using the entire floor space as the outlet. This is achieved from network pipes of hot water or electrical wires hidden beneath the floor. This method of heating is more efficient than radiators, this is because underfloor heating operates at a lower heat while spreading the heat evenly throughout the room - radiators must operate at a higher temperature to ensure the heat reaches the other side of the room thus using more energy. One room Kits provide equipment for areas up to 20m2. Great for small easy DIY installations. 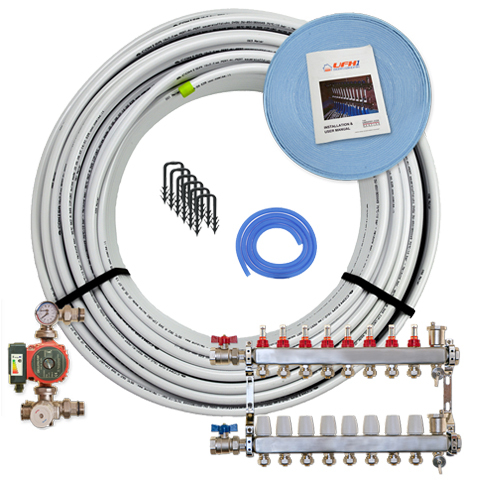 High quality unbranded underfloor heating system equipment for the price conscience customer. 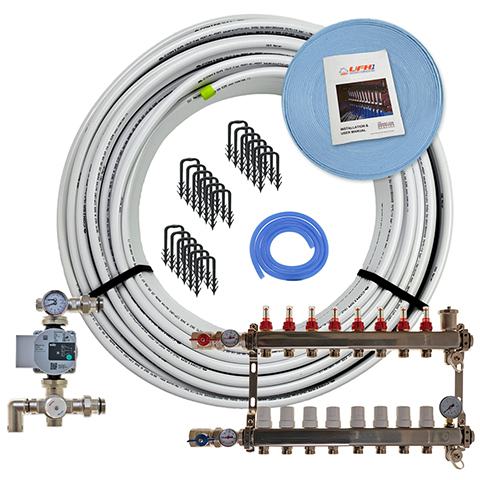 Highest quality, branded, industry leading underfloor heating system equipment.